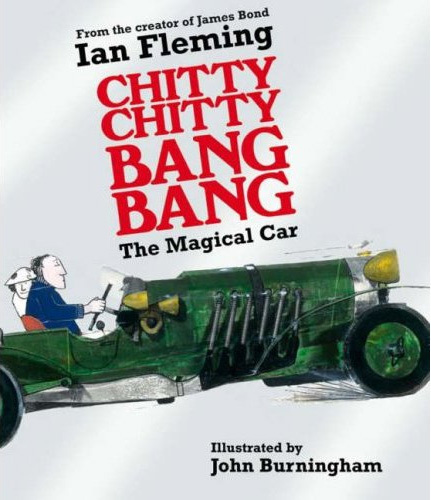 Today, Ian Fleming Publications updated the Centenary website – again! 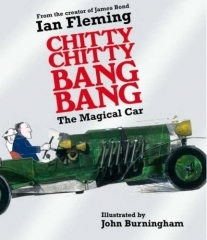 Chitty Chitty Bang Bang, the Centenary edition got bumped up to an April 8th release date though Amazon.co.uk still shows as a May 1st release. This edition, which will be published by Puffin, is illustrated by John Burningham. Added to the list of book releases was also Final Fling: The Moneypenny Diaires on May 1st, but we sorta already knew that. Two new events were also added. The first is a a lecture at the Kenneth Clark Lecture Theatre in London which will be given by Daphne Park and will feature readings by Lucy Fleming. The second is a “Goldfinger Golf Tournament”. This actually sounds pretty cool to me. So far it’s only been announced to take place at the Royal St. George’s Golf Club in Sandwich, Kent on June 25th, but I’m liking the idea.